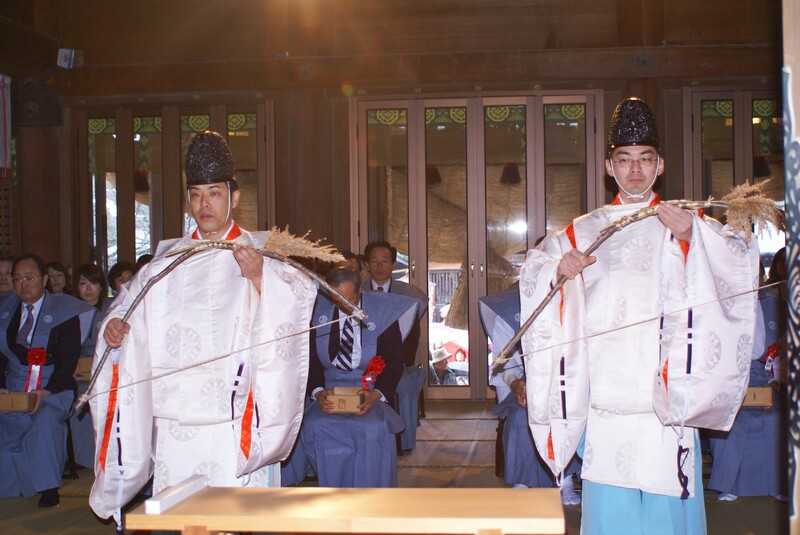 On February 3 (Sunday) from 12:00 pm, the ritual of “Resounding Bowstrings” (Meigennogi) will be held. 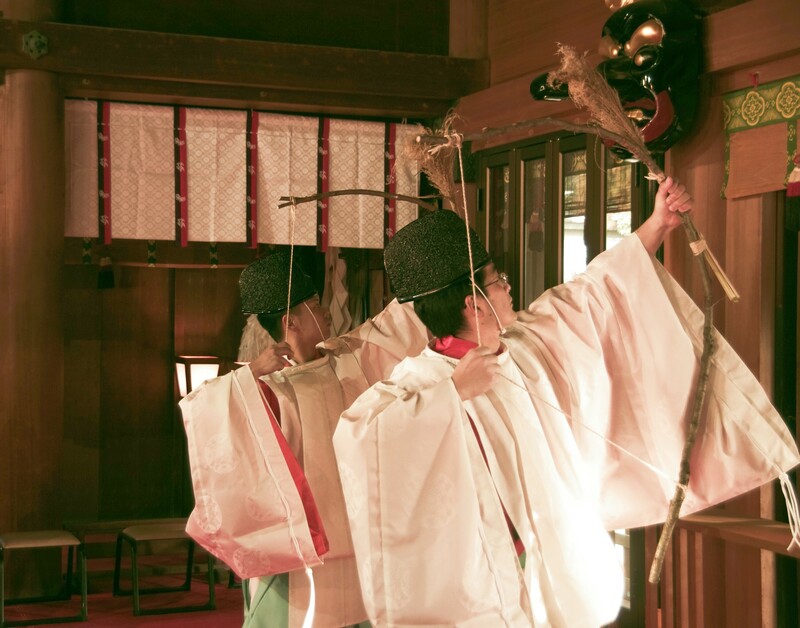 It is a ritual in accordance with the old tradition to exorcise evil spirits and pray for warding off evil and inviting good fortune by sounding the bowstrings made from momoe branches. 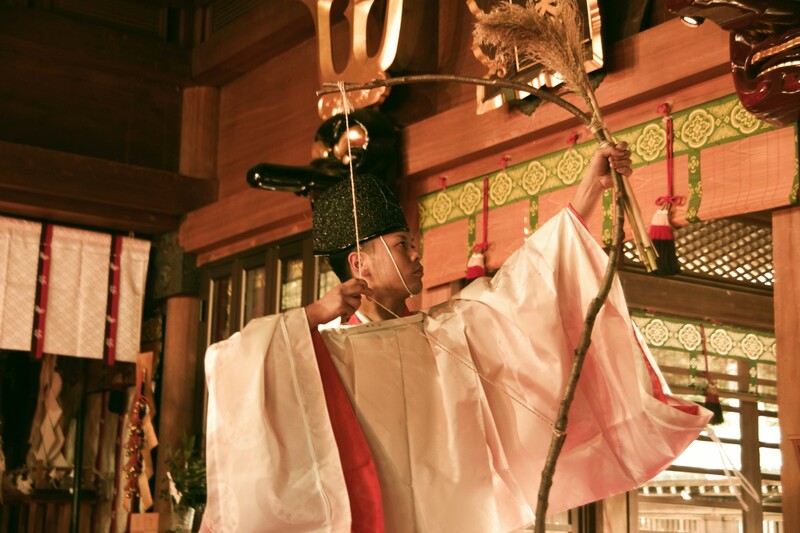 In Miyako, it was conducted as the “ceremony to drive out evil spirits” (Tsuina) since ancient times.